Your toddler is 2 years old and still is not talking. Though he can say a few words, he cannot put whole sentences together unlike his playmate. Is this something you should worry about? Here is what you need to know about speech delay in toddlers. There are 2 kinds of speech delay – expressive and receptive delay. Expressive speech delay is the inability to produce speech while receptive speech delay is the inability to comprehend and decode the words of others. In some instances, children may both have these types together (mixed expressive or mixed receptive speech delay), hence, they are incapable of generating any sound or speech. A lot of factors can cause speech delay in children. Oral Impairment – Problems with the tongue, having a cleft palate or an extra fold beneath the tongue can restrain tongue movement to produce speech. Developmental Disorders – Autism, mental retardation, PDD (pervasive developmental disorder) and auditory processing disorder (dysfunction of the central nervous system which results to a difficulty in identifying and understanding sounds) are also one of the major causes of speech delay because a toddler’s brain is still immature delaying the child’s ability to grasp, study and create speech. Hearing Problems – Toddlers with hearing problems such as chronic ear infection can also suffer from speech delays. This is because they are unable to hear words and sounds to emulate them properly. Reading is the foundation of speech and language development. Read to your baby on a daily basis. Stick to picture books to encourage your little one to focus while you name the pictures. Help him imitate the actions and point and identify the pictures. 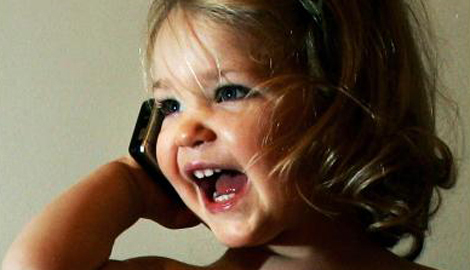 Communicate with your toddler as much as you can. Sing, ask questions, inform him about your activities, explain to him what you are doing while cooking dinner or cleaning a room. Make sure you speak clearly and loudly and use simple words. Each time your toddler talks, reiterate and expand what he says. For instance, if he says “Mama, ball.”, say, “Yes. That is a big, red, bouncy ball.”. Then, have him repeat the words slowly. Provide your toddler tons of positive reinforcement whenever he talks. Doing so boosts his confidence and will make him more motivated to try again. Consult with a speech-language pathologist. This specialist can give you a precise evaluation about your toddler’s condition. The doctor can also suggest speech therapy sessions to help improve his speech. Be patient. Do not pressure your toddler to talk. Give him time to say what he wants to say. Sooner or later, your toddler will improve and start gabbing unceasingly.